Winslow (St. Lawrence) Churchyard, Buckinghamshire, contains 6 Commonwealth War Graves. 5 of these graves are for the First World War and 1 for the Second World War. 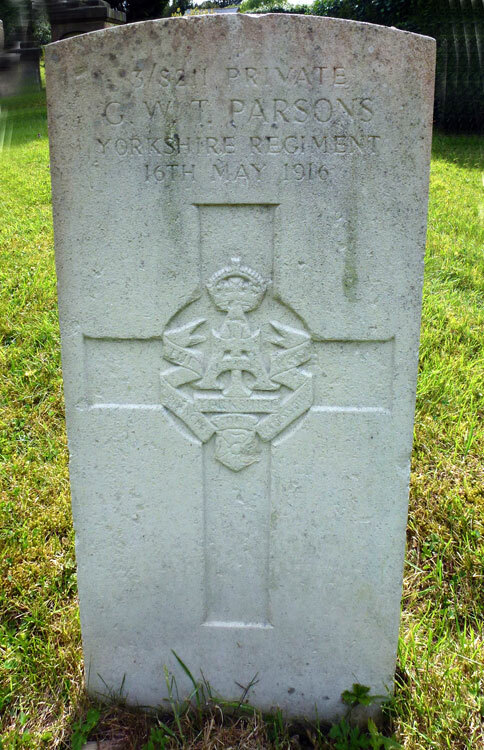 One grave is that of a Yorkshire Regiment soldier. Private George W T Parsons, 3/8211. 3rd Battalion Yorkshire Regiment. Died at home 16 May 1916. Further details of George Parsons can be found on the Buckinghamshire Remembers website. 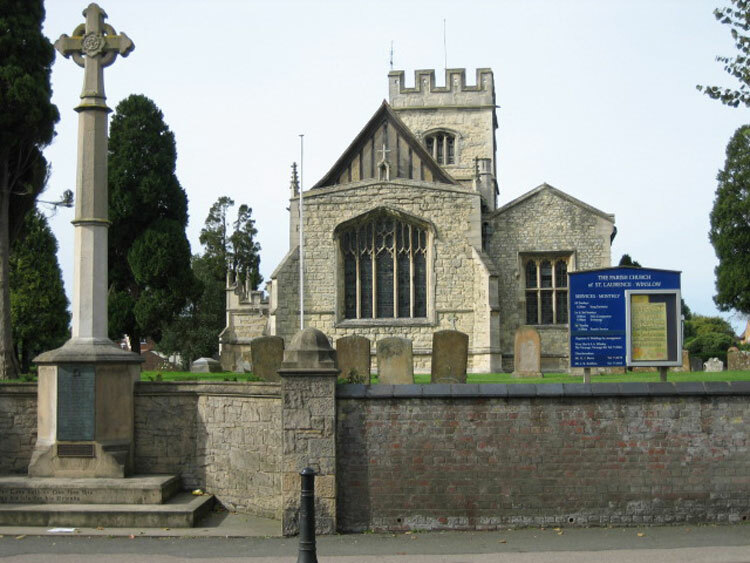 Included on this website is a photo of George Parson's headstone, and photos of the War Memorials both outside and inside St. Lawrence's Church, - on which Private Parsons is commemorated. St. Lawrence's Church, Winslow, and the Winslow War Memorial.